Ktoo may be the upcoming event you’re looking for. Ktoo are Kevin McLoughlin and Kevin Ikin, two folk veterans who hail from Dunedin and first played together at The New Edinburgh Folk Club in the early 1980s. They both played (at different times) in the famous “The Pioneer Pog ‘n’ Scroggin Bush Band” and are currently part of Wellington ceilidh band “The Jimmies”. Both Kevins have family links to the South Island’s West Coast and this has stimulated their new collaboration: to gather and record a collection of songs and tunes about the Coast. They have unearthed tall and true tales from many sources, reflecting the unique character of the region and its people - stories from the goldfields, coal mines, towns and landscape of the Wild West, not forgetting the weather! 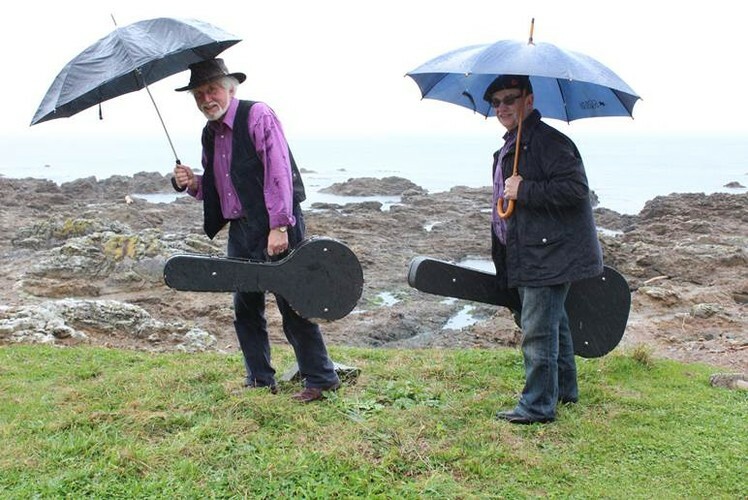 They include songs from the colonial balladeer Charles Thatcher, Phil Garland, Willow Macky, Alwyn Owen and poems from Dave Ogle and the former West Coast MP, Paddy Blanchfield that they have set to music. There are original songs and tunes as well, rounding out a fascinating and highly entertaining collection ranging from the serious to the silly.